Cover art for Steve Cole's fourth and final Young Bond adventure Red Nemesis has been revealed. The book will be released in paperback and as a limited edition hardcover on May 4, 2017. Pre-order Red Nemesis at Amazon.co.uk. Hm... 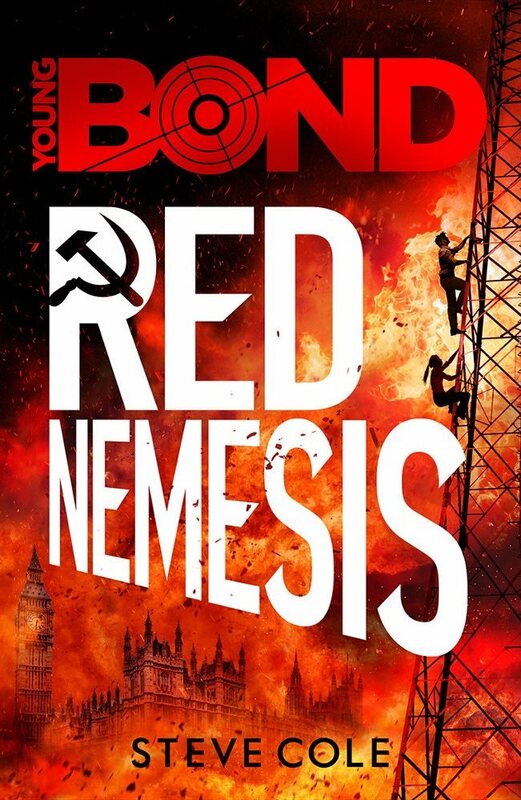 I'm slightly dubious because Higson already did Russian Communists in London so well in Young Bond, and I hope this doesn't come off as a rehash. And I don't like that "clear the Bond family name" angle one bit. But I'll still give it the benefit of the doubt!